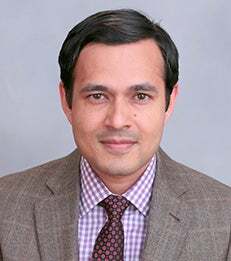 In research that is forthcoming in the journal, Management Science, NYU Stern Professor Deepak Hegde and his co-author, Justin Tumlinson of the IFO Institute at the University of Munich, found that US venture capitalists (VCs) were more likely to invest in start-ups led by executives of the same ethnic origin, particularly when the probability of the start-ups’ success appears low. They also found that when VCs and entrepreneurs shared the same ethnic origin that the start-ups were more successful as measured by IPOs and net income after IPOs. The professors analyzed data from almost all US-based venture deals from 1991-2010, assembling 22,000 US-based venture capital (VC) partners and 85,000 US based start-up executives, who represent 10 distinct ethnic groups. The article, "Does Social Proximity Enhance Business Partnerships? Theory and Evidence from Ethnicity’s Role in US Venture Capital” is forthcoming in the journal Management Science. To speak with Professor Hegde, please contact Carolyn Ritter at 212-998-0624 or critter@stern.nyu.edu or Joanne Hvala at 212-998-0995 or jhvala@stern.nyu.edu in NYU Stern’s Office of Public Affairs.